This entry was posted in Racing on January 12, 2014 by Steve Tilford. 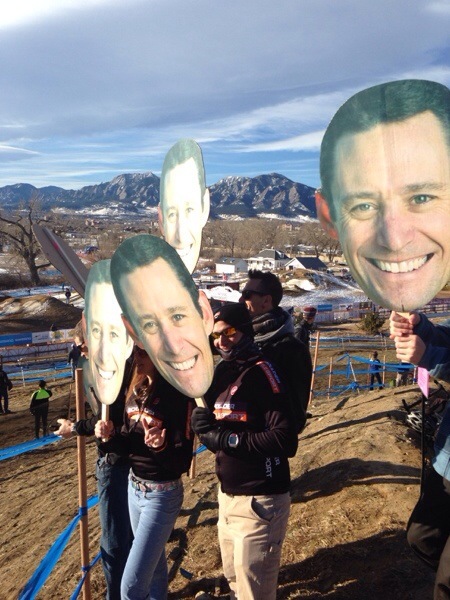 I pretty much only watched the Master’s 40+ race yesterday. My friend Vincent was starting in the smoking section (way back), but at least he towed the line. 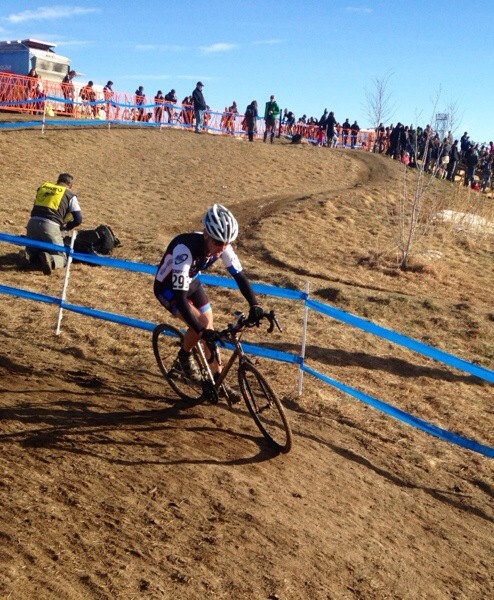 He ended up finishing 52nd, which was awesome. 132 starters and he had some issues. Check out his first lap. 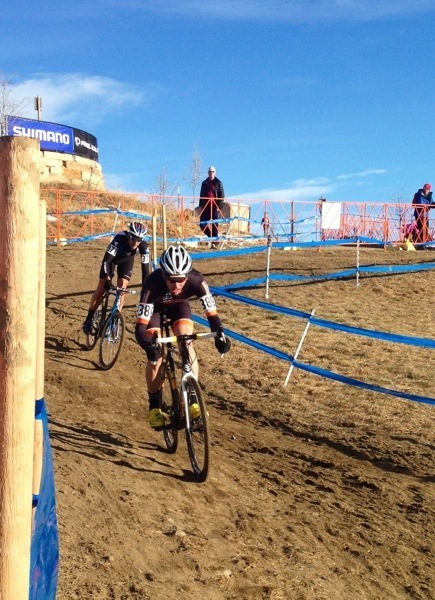 Anyway, I’m bummed I missed the U23 race. Looks like a near Cal-Giant sweep for the top 5. Pretty good results for them. Heading to the course today at 10, to watch a team mate, Ben Stover, race for KU. It should be good. Then staying the rest of the day. A lot of standing, but that is what I signed up for this weekend. Okay, some interesting photos below. 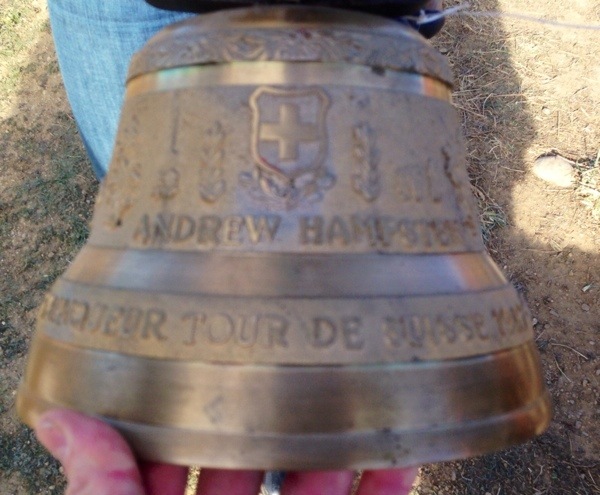 his Tour de Swiss cow bell. And I mean Tour de Swiss and the ultimate cowbell. First place from the 1987 Tour de Swiss, custom cast with his name. 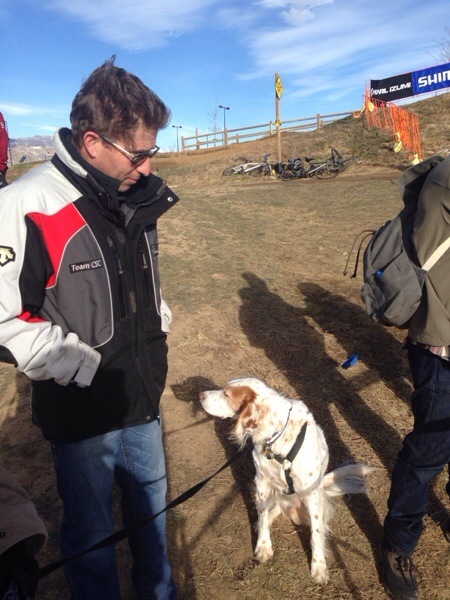 Andy and my ex- team mate, Hugh Walton meeting Bromont. Peter Weber leading Mark Savery, early in the Master’s 40+ race. They finished 1 and 2. 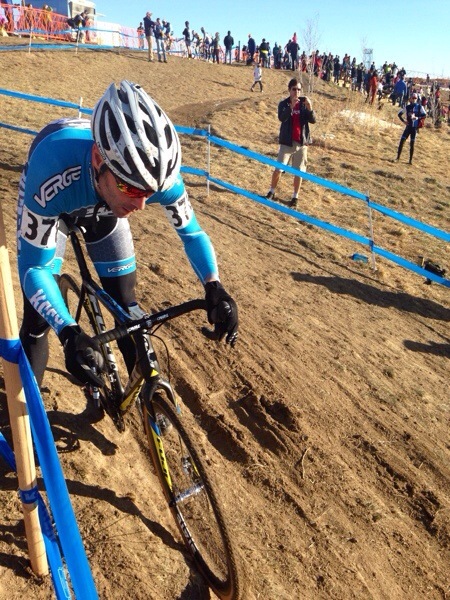 Brandon Dwight, Peter’s teammate, crashed early on, but rode back up to an amazing 3rd place. Vincent riding the “odd line”. Ben Berden leading the Peter Weber fan club. 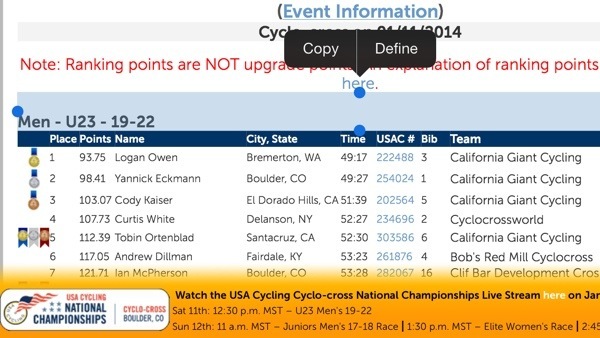 Pretty good results for California Giant in the U23 race. 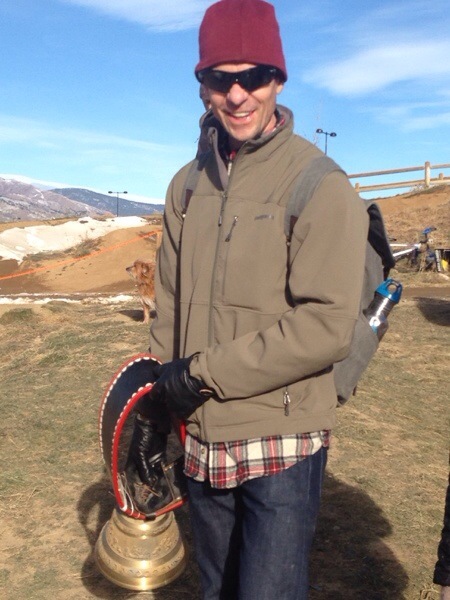 Awesome shot of Andy Hampsten and his cowbell. Very cool! You can be sure there aren’t too many of those being rung at cross races.